A week ago, I decided to cram into my evening a few collections of Rob Zombie’s oeuvre, including his early work with White Zombie. Included as part of the 3CD/1DVD retrospective set, this collection mercifully starts with their Geffen debut. I’m not a big fan of White Zombie, but the Geffen years at least has its moments. As soon as the heavy groove started, I was totally engaged. The music has been remixed in 5.1 so it was a lot of fun to listen to. 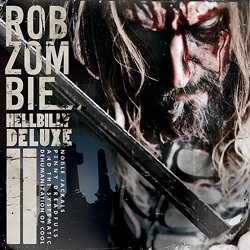 Frankly, I was surprised to find out that someone had taken the time to remix White Zombie, knowing full well that even Rob Zombie’s solo work hasn’t been. 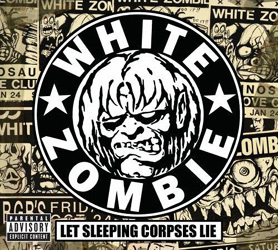 The problem with this disc, however, is that White Zombie only has a handful of videos – so they had to pad the disc with some live performances, including a few from their ghastly pre-Geffen years. And, to top it all off, most of the recordings are of bootleg quality, which made it that much harder to watch. Included in the Deluxe reissue of his classic solo debut, this collection is essentially a visual representation of the complete album in sequence; they picked all the official videos and then included other footage to essentially create a video album. 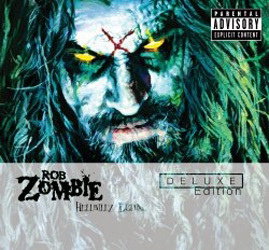 Included with the re-release of Rob Zombie’s latest album (which includes a few new songs and a reworking of another one), this bonus DVD is a total disappointment: not only is the music video patched together from live footage (I was expecting Zombie’s usual visual flair! ), but the duet with Alice Cooper was uninspired and the so-called documentary is just random tour footage tossed together with no narration, intertitles or even interaction with the people involved – all we do is watch musicians and crew do random stuff for 25 mins or so. PS: the Zombie fans will no doubt notice the exclusion of the DVD from the ‘Past, Present and Future’ compilation. I had watched this years ago, and time was short; i stuck to what I hadn’t seen yet. It should be said, however, that it is without a doubt the best disc of the bunch.